You may have seen this one floating around cardland already. 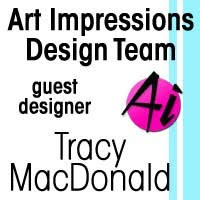 It was on Art Impressions blog last week. It's one of the cards I made that went to Creativation last month in Phoenix. I used one of the brand new Work & Play sets from AI. 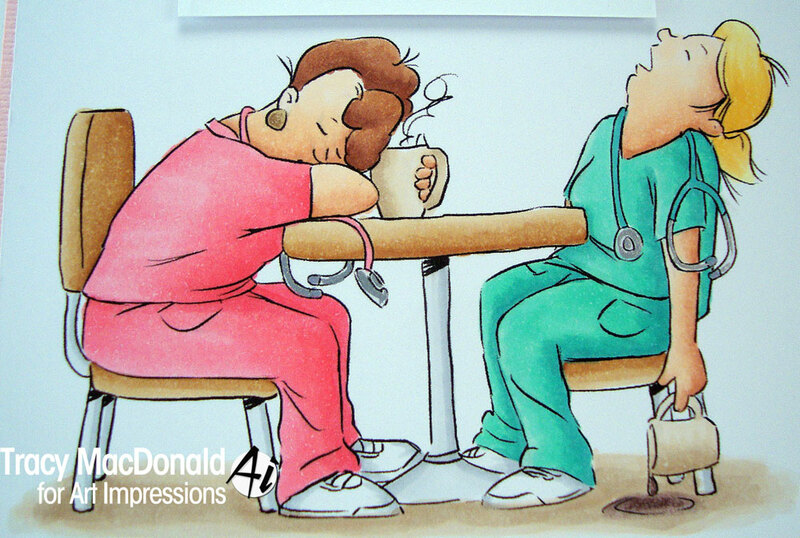 This one is called Proud Nurse set. Pretty handy for me since my daughter is in nursing school. 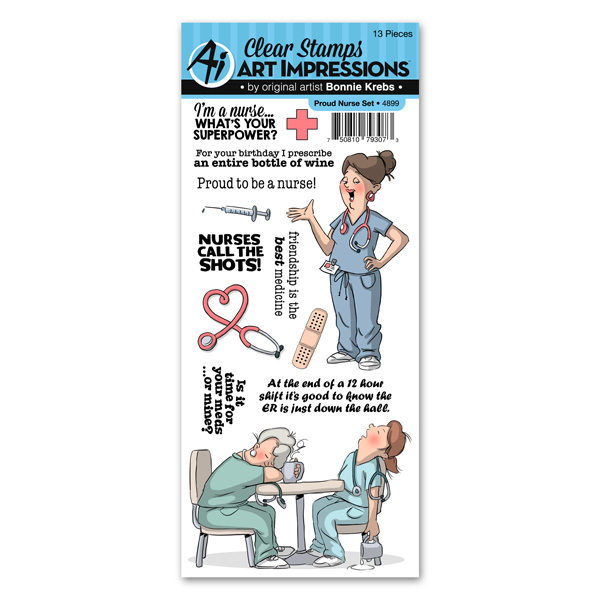 Stamps--Art Impressions "Proud Nurse Set"
Oh, awesome! This set is going to come in really handy for your daughter! This is so fun, and your coloring is absolutely amazing! Oh this is brilliant Tracy!! What a super image and sentiment and your colouring is incredible! What a wonderful coloring job on the nurses image! How perfect for your daughter. Terrific card! 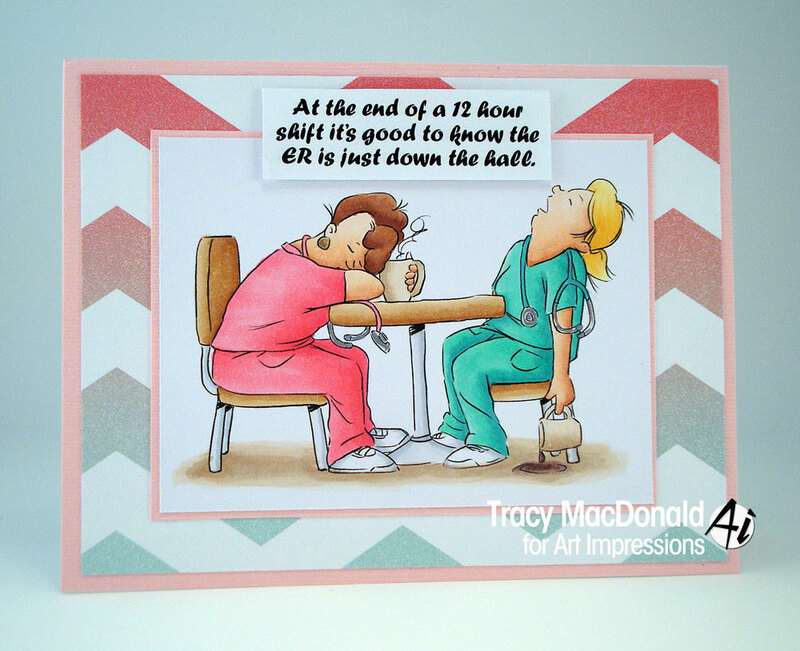 Fabulous coloring and awesome card Tracy!!!! !